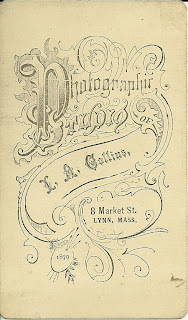 Carte de Visite of a young woman, taken by Collins Studio, 8 Market Street, Lynn, Massachusetts. 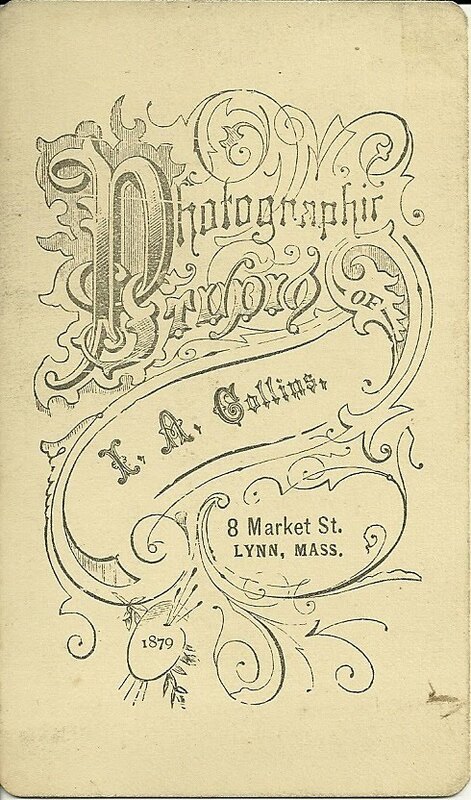 There's an imprinted date of 1879, but I'm not sure if that means definitively that this CDV was made in 1879 or if that's just when the Studio began operation. 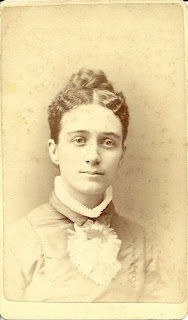 If you recognize this young woman for your family albums, please contact me.